Bell Hill Vineyard owners, Marcel and Sherwyn, take a very hands-on, traditional approach, working in the vineyard to coax the very best possible wine from Bell Hill’s unique soil. Marcel and Sherwyn are quick to correct anyone who calls them ‘winemakers’. They are wine growers, not makers. Both have extensive experience in the wine industry. Marcel studied viticulture and oenology in Germany and, since then, has done numerous vintages in the major winegrowing districts of the world. He emigrated to New Zealand in 1983 to join his brothers in the family business, Giesen Wines. Sherwyn studied viticulture and oenology at Lincoln University in Canterbury and has also worked vintages in New Zealand, Europe and America. At the end of 1995, after six months in Europe, Marcel and Sherwyn returned to New Zealand and set themselves the goal of finding a plot of land where they could grow Pinot Noir and Chardonnay with limestone soil derived characteristics which can be defined by structure, acidity and longevity. They gave themselves a time limit of five years to find this land – it took only six months. On the day before their wedding they signed the papers and their vineyard became a reality. Marcel and Sherwyn are drawing upon their collective experience to realise the full potential of their vineyard, with its lime-rich soil and unique minerality. They took a risk – the land is very elevated and the climate can be marginal – but you only have to look at their reviews to see that the risk is already paying off. Our team at Bell Hill is quietly growing and we have been joined by great people over the last twelve months. Brian Heslop began working with us in 2015 and is involved in the vineyard and machinery areas as well as the winery as our operations leader, Brian also shares administrative duties with Sherwyn as well as looking after our NZ market and H&S. 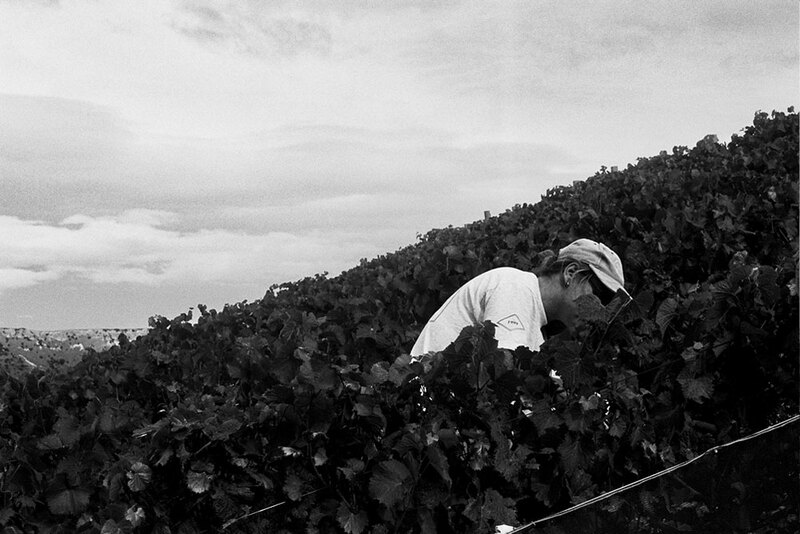 Brendan Hurley is also a part of our vineyard team and our primary machinery operator. Sarah Dufour is our accounts person while also helping Sherwyn in the office with some back end support. We have also been joined in 2017 by Stuart Poore as a Landscaper to help preserve and accentuate the natural beauty of the property. When required, we engage casual staff throughout the year, often viticulture interns or travelers from overseas. At times, we are searching for extra help at Bell Hill, usually for in the vineyard – it may be during the growing season, the harvest, winter pruning or permanent positions. If you have vineyard experience and a calling for growing excellent Pinot Noir and Chardonnay, please contact us at info@bellhill.co.nz.